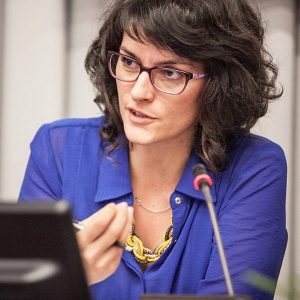 Licínia Simão is assistant professor at the School of Economics, University of Coimbra, teaching in International Relations and researcher at the Centre for Social Studies, where she is involved in several research projects on the post-Soviet space. Licínia holds a PhD in International Relations (specialisation in European Studies), from the University of Coimbra. Her research interests include foreign policy analysis and security studies, with a focus on European foreign policy and the former-Soviet space. Licínia has several relevant publications on these topics, including several academic articles in leading peer review journals such as International Politics, Communist and Post-Communist Studies, European Security, and Journal of Balkan and Near Eastern Studies, among others. She has also published with national and international publishers, such as Coimbra University Press, Manchester University Press, Palgrave Macmillan, Routledge and Ashgate.